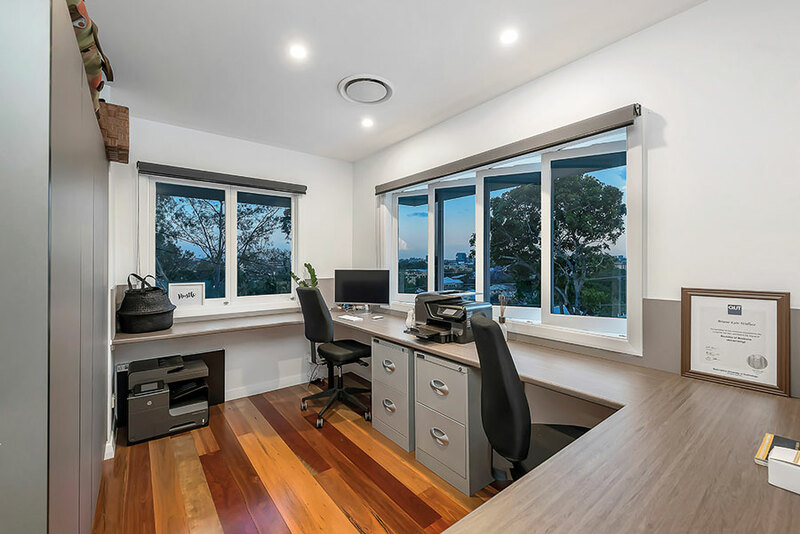 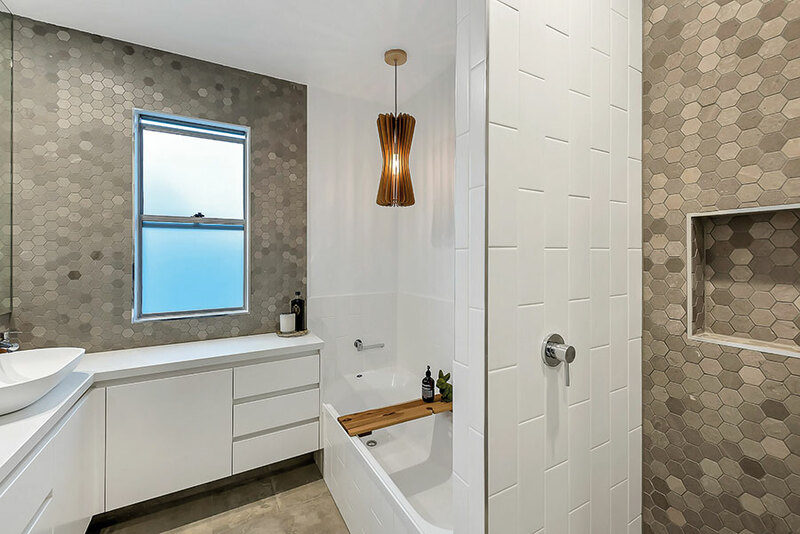 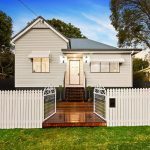 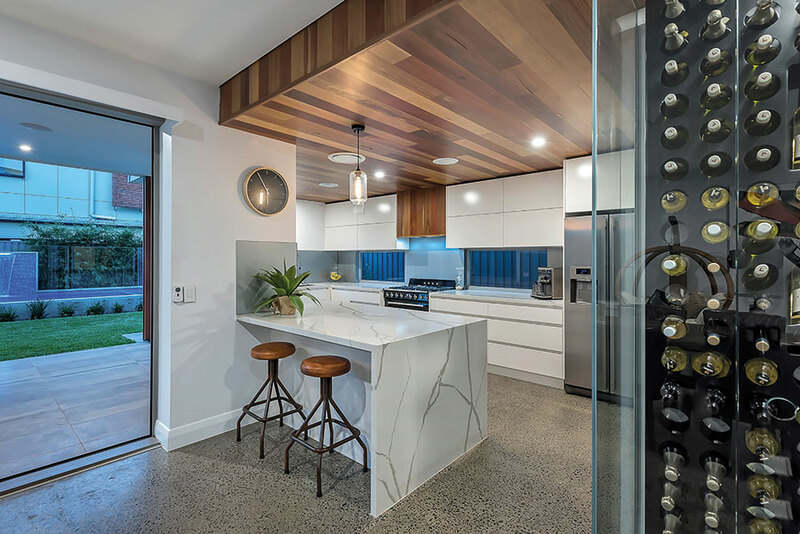 When this couple couldn't find a home that incorporated all of their needs in their much-loved suburb of Auchenflower, Brisbane, they went ahead and renovated their existing post-war house, transforming it into the family home of their dreams. 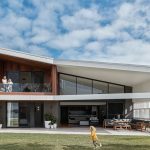 Lifebox and NP Built were commissioned to handle the design and construction, transforming the family’s existing house into an idyllic home that will continue to meet the needs of this growing family. 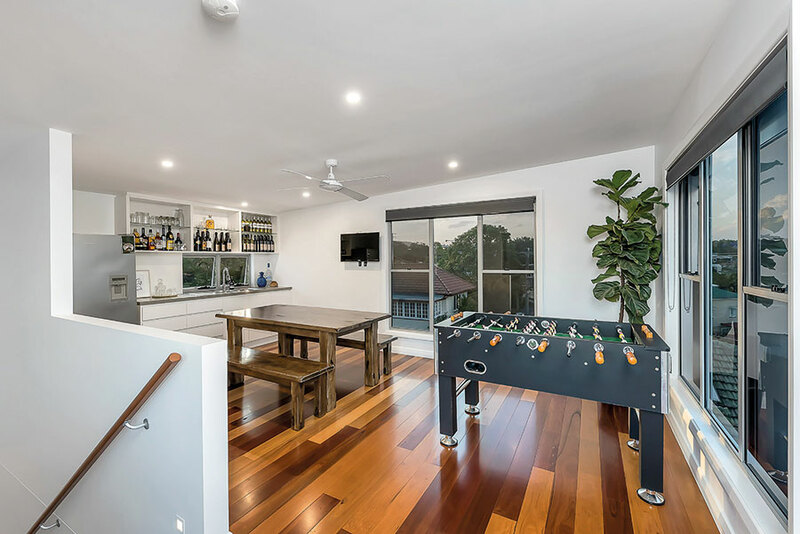 Boasting new, ampler living spaces, the renovation has provided effortless flow between indoors and outdoor zones, with plenty of style and functional flair. 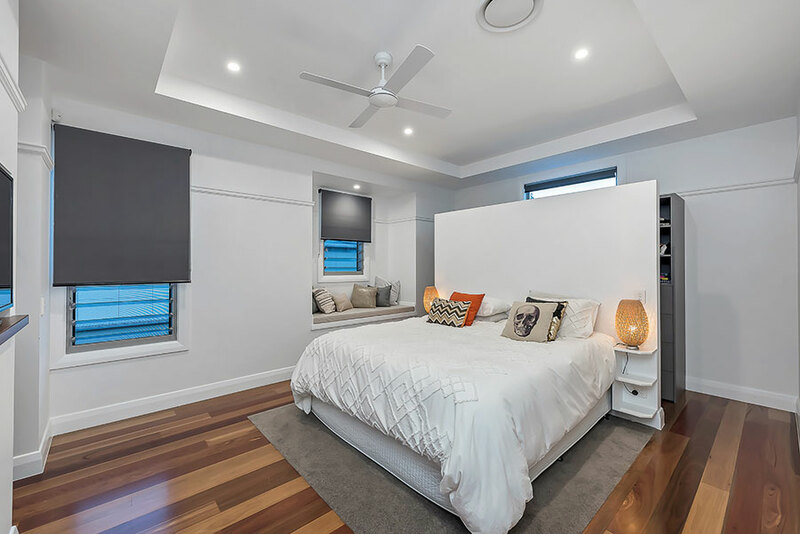 The family wanted an ‘entertainers dream home,’ making sure it was practical, welcoming and contemporary while accommodating small children and taking advantage of its position to maximise the city views. 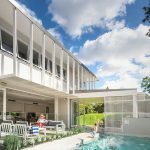 And, in keeping with the ‘entertainer’s dream,’ a pool house, rooftop bar, and terrace have also been incorporated. 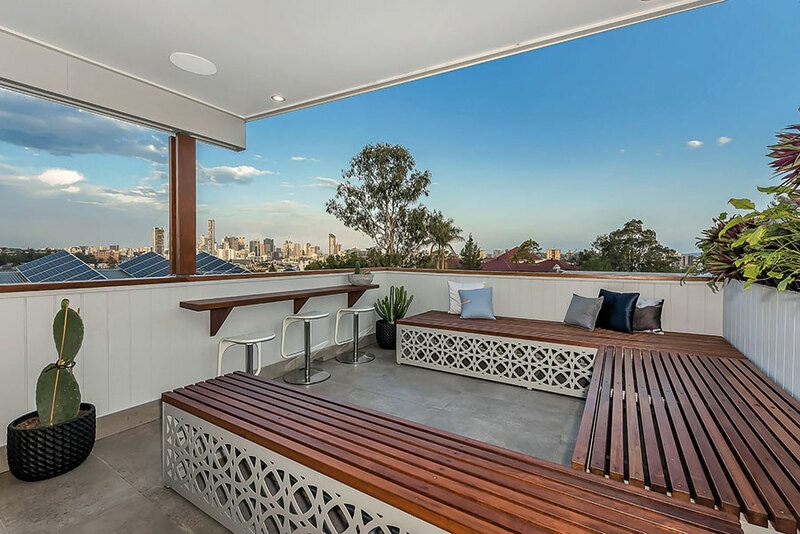 On the third level deck, with views of Brisbane City and across to Mount Coot-tha, is a wonderfully outfitted area suitable for lounging in the sun or cocktails with friends (the perfect place to watch the fireworks for Riverfire). 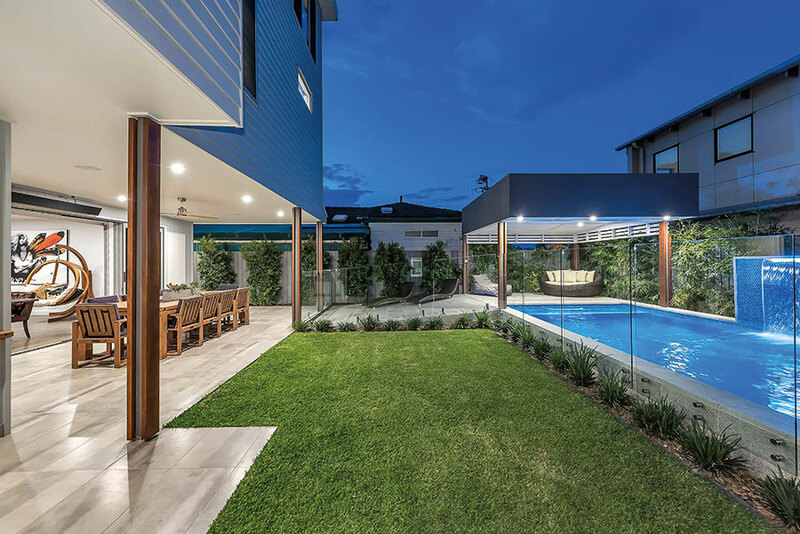 There were planning hurdles involved with keeping in line with council requirements while delivering on the client desires, with tight regulations regarding the streetscape, coupled with the site-specific challenge of a very steep front boundary that NP Built and Lifebox worked together to overcome. 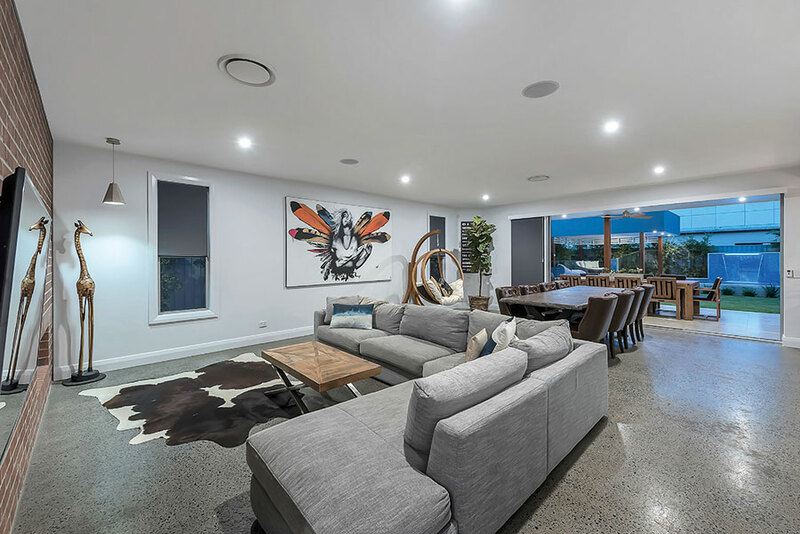 Parking for four cars and a caravan and boat was another must-have for this family – a luxury that is rarely seen and often unattainable in such a locale, only 2km from the city. 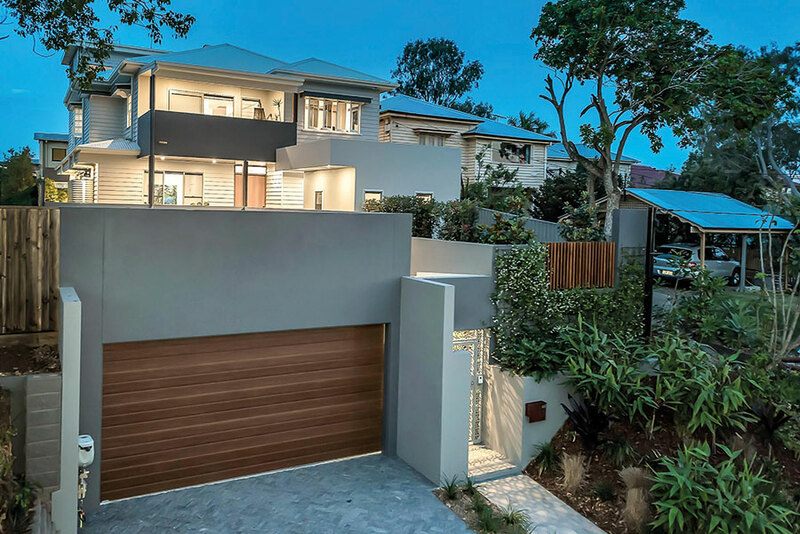 The extremely steep front boundary made it particularly difficult to incorporate the four-car garage required – to navigate around this, a tremendous amount of excavation was needed. 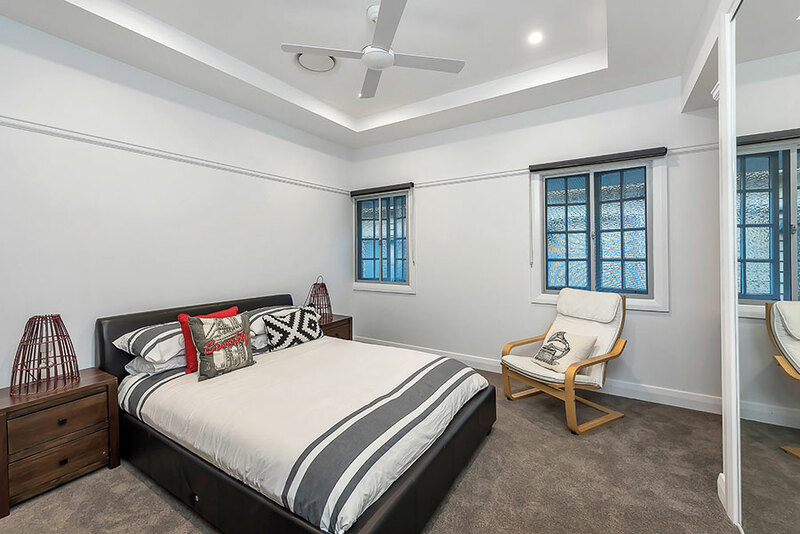 The home now has a total of five bedrooms, with the master bedroom boasting separate his and her walk-through wardrobe to the ensuite, complete with double walk-in shower with built-in shower seat, sink spots for his and her, heated towel rails, plenty of storage, and a glamour-style makeup desk. 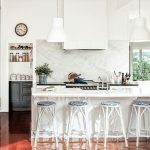 Downstairs, the kitchen is the heart of the home, with design inclusions like a walk-in butlers pantry, plenty of storage, scissor hinged overhead cupboards and built-in wine storage in the form of a floor to ceiling glass cabinet. 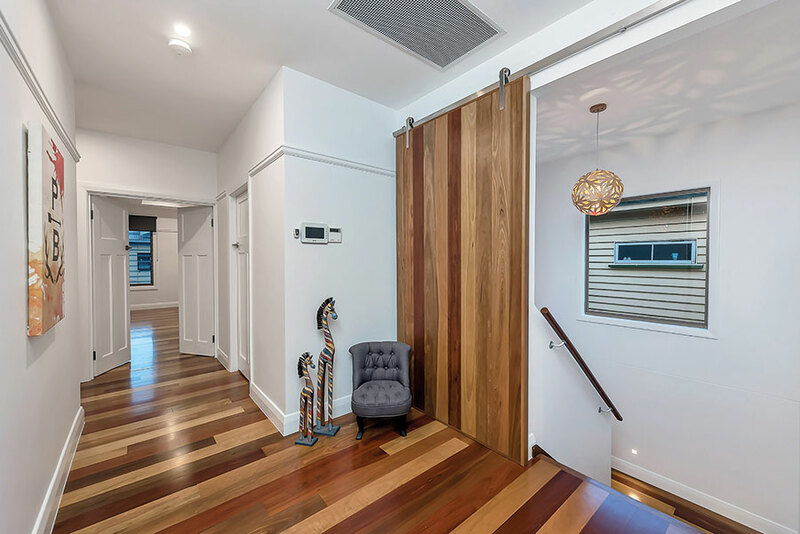 A further three separate lounge areas and three bathrooms offer the family exceptional living spaces. 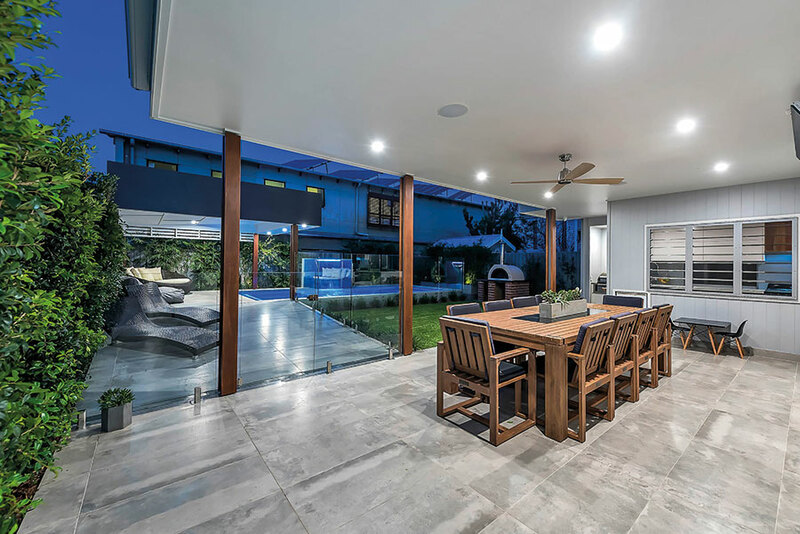 Arguably the standout feature of the home is the seamless integration between indoor and outdoor living on the bottom level – stackable doors, completely hidden from view when opened, make it al feel as if it were the one complete space. 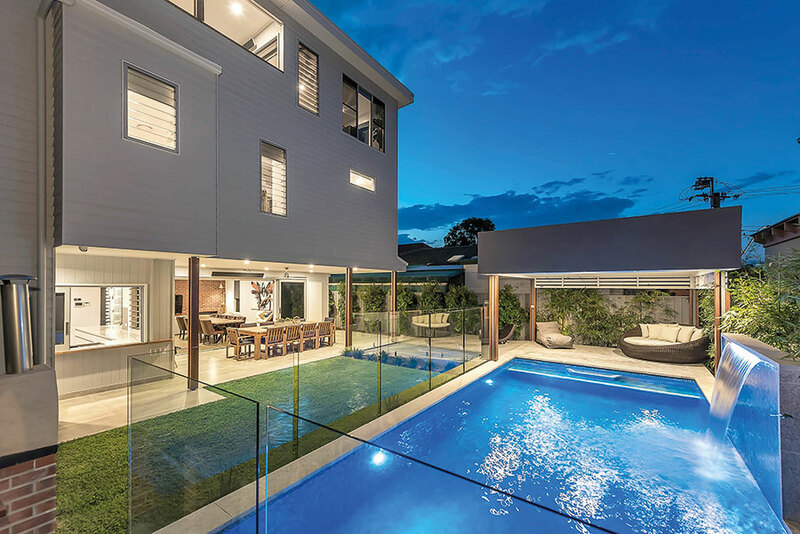 A fully tiled pool with waterfall, two grassed areas for outdoor fun, and a built-in BBQ and pizza oven completes the dream. 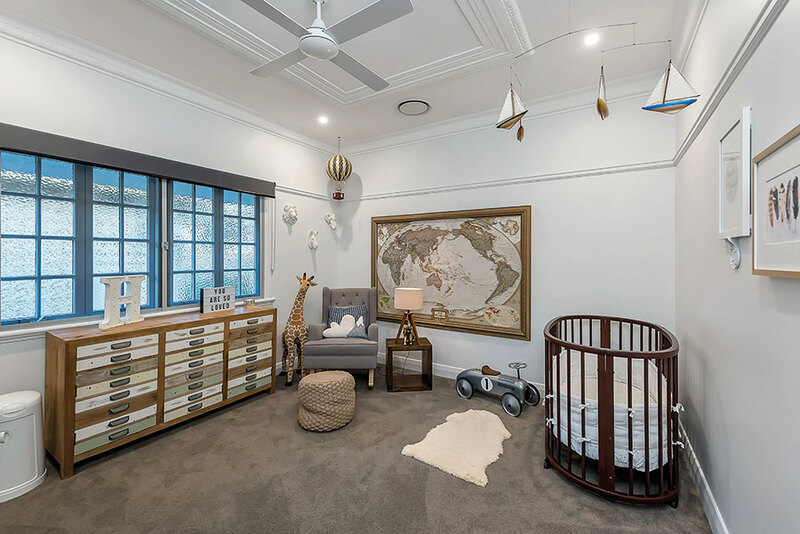 With weekly client meetings on site, the NP Built Team kept the project moving and the client happy, while Lifebox building designer Ben Phillips’ efforts in getting the design right has created a home that will allow the family to live their best lives day to day with their children.